What is Republic Act (RA) No. 9994? RA 9994 is the Expanded Senior Citizens Act of 2010. It amended RA 9257 or the Expanded Senior Citizens Act of 2003, which also amended RA 7432, the original Senior Citizens Act of 1993. What is the intent behind RA 9994? RA 9994 is a social welfare legislation intended to benefit our Filipino elderly and provide them additional privileges. When did RA 9994 become effective? RA 9994 became effective on April 22, 2010. It was published on March 28, 2010 in the Philippine Daily Inquirer and April 7, 2010 in Business Mirror. Within what period did the Implementing Rules and Regulations (IRR) need to be formulated? The DSWD, in consultation with other government agencies, senior citizens NGOs and other stakeholders, had until June 22, 2010 or 60 days from the law’s effectivity to draft the new IRR to provide specific and operationalize the new senior citizens law. When did the IRR become effective? The IRR became effective on July 6, 2010. The IRR was published in Business Mirror and Remate on June 21, 2010, and in the Philippine Star on June 22, 2010. Within what period should government agencies draft their own supplemental guidelines to augment the IRR and provide other necessary details to the senior citizens law? 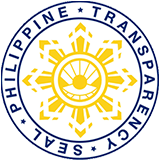 Line agencies like the DOH, DILG, DOTC, DOT, DOF and their attached offices are given thirty (30) days from the IRR’s effectivity to draft their respective supplemental guidelines. However, due to the requirement of public hearings, regulatory bodies of utility providers like the ERC, MWSS and LWUA are given six (6) months to draft their relevant guidelines. What are the benefits and privileges given to senior citizens under RA 9994? What are the senior citizens’ Discount Privileges granted under RA 9994? 50% discount on electric, water and telephone consumption of senior citizens centers and residential or group homes. What transactions by senior citizens are covered by the 20% discount and VAT-exemption? How can senior citizens avail of the Discount Privileges from business establishments? A senior citizen, or a duly authorized representative, must present an ORIGINAL AND VALID senior citizens identification card issued by the Office of Senior Citizens Affairs (OSCA) in the city or municipality where he/she resides, with the necessary purchase booklet for medicines, or the purchase booklet for basic necessities/prime commodities, when applicable. However, discounted food purchases cannot be by proxy or through a representative owing to the limitation that it should be for the exclusive use and enjoyment, or “personal consumption” of the senior citizen only. What items are subject to the Special 5% Discount privilege? The special 5% discount privilege applies only to prime commodities and basic necessities as listed under the Price Act or Republic Act No. 7581. Are purchases of vitamins and minerals subject to the 20% discount on medicines? Yes, vitamins and minerals specifically prescribed by an attending physician for an elderly for the prevention, treatment or diagnosis of a disease or illness can be considered as medicine or drug purchases subject to the 20% discount. Does the 20% discount apply to food supplements prescribed by an attending physician? No, the 20% discount on drug and medicine purchases does not extend to food or food supplements, even if prescribed by a doctor for an elderly. Is the senior citizens discount applicable to purchase of goods and services paid in cash only? No, the senior citizens’ discount applies to purchases or transactions paid either in cash and or by credit card. Can senior citizens avail of the 20% discount on food purchases whether take-out/take-home, drive-thru or by delivery? Yes, as long as the food purchase is for the personal consumption of the senior citizen and he/she is able to show an OSCA-issued ID, the 20% discount must be granted. What are the FREE services senior citizens are entitled to? free pneumoccocal and influenza vaccine for indigent senior citizens. No, a senior citizens discount on hospitalization and/or medical services can be availed of separately. Thus, PHILHEALTH coverage can still be utilized on top of the 20% senior citizens discount. What are the utility discounts available to senior citizens? 5% discount on electric consumption not exceeding 100 kwhrs and water consumption not exceeding 30 cubic meters for households with senior citizens residing therein and under whose name the separate meters are registered. What other government financial assistance are now available to senior citizens? b) Death Benefit Assistance of P2,000 to be given to the nearest surviving relative who cared for the deceased senior citizen until his/her death. What funeral and burial services are entitled to the 20% discount? Funeral and burial services subject to the 20% discount include the purchase of the casket or urn, embalming, cremation costs, pick-up of the body from the morgue, transport for burial at his/her hometown, but excluding obituary publication and the cost of the memorial lot.